Commercial flights would be a lot more expensive and modern warfare jets would pose less threat to the enemy without plastic materials. Since 1970, the use of aerospace plastics has quadrupled. Interior components (like overhead bins), components for navigational and propulsion functions, and structural elements can all be made out of plastic components. Military aircraft also benefit from the use of plastics. They make aircraft lighter, which extends flight range and helps the jet to evade radar detection. 1) They are lightweight. Some plastic components can be as much as ten times lighter than their metal counterparts. For each pound of weight reduced on a plane, $1,000 is saved in fuel over the life of the airplane. 2) Plastics can generally be fabricated economically. 3) They are not prone to corrosion. Many plastics do well in very chemically harsh environments. 4) Transparent plastics are more impact resistance than glass, which increases safety. Although plastic materials were developed in the late 1800s and put into widespread use in the 1930s, it was not until World War II that plastic components were initially installed in airplanes. Due to the war-time shortage of many industrial materials, engineers first looked to plastics to replace rubber components in planes. One of the first applications for aerospace plastic components was as a lining for fuel tanks. 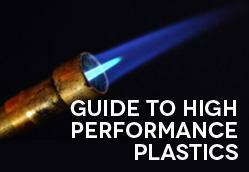 Eventually, high performance plastics were developed. Many are used today in all parts of planes and helicopters. Some common plastics and their potential applications are discussed below. Polyetheretherketone, marketed under the trademark PEEK™, is a semi-crystalline organic polymer. It exhibits superior mechanical performance and thermal properties, including creep resistance and low flammability. PEEK can also withstand large doses of radiation. It has excellent hydrolysis resistance, meaning that it can be exposed to high pressure water and steam without degrading. PEEK™’s operating temperature goes up to 450 °F. 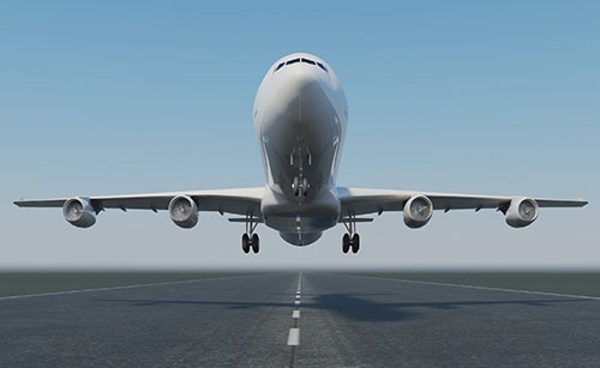 The combination of properties and large temperature operating range make it a preferred product in the aerospace industry, especially in conditions where it may be exposed to low temperatures and atmospheric particles. Common applications include valve seats and pump gears. One class of thermosetting polyimides, marketed under the trademark MELDIN® 7001, has excellent mechanical properties and high resistance to chemicals. With a higher ductility than ceramics and lower weight than metal alloys, it is a great choice for various structural applications in the aerospace industry. Examples of potential applications include electrical standoffs (spacers) and insulators for threaded nuts and other components. PAI, marketed under the trademark Torlon®, has a high mechanical strength which it retains up to 500 °F. PAI is resistant to radiation and most chemicals at room temperature, is flame retardant, and doesn’t give off smoke when burning. Due to all these properties, PAI is often used as a substitute for many metal components in the aerospace industry. PCTFE is a fluorochemical plastic with an optimal blend of physical properties, mechanical properties, fire and chemical resistance, and very low moisture absorption. It also has great electrical properties and a wide range of temperature application from -400 °F to +400 °F. These properties make PCTFE a great material for components that are used outside or in corrosive environments. PTFE, or Teflon, is a fluorocarbon polymer. It is an electrical insulator, has low flammability, high tear resistance, and retains its properties in aerospace conditions. PTFE makes a great material for insulating the myriad wires and cables in an aircraft. In today’s economy, the high cost of fuel and the push for lower ticket prices drive airlines to purchase aircraft that are as light as possible. 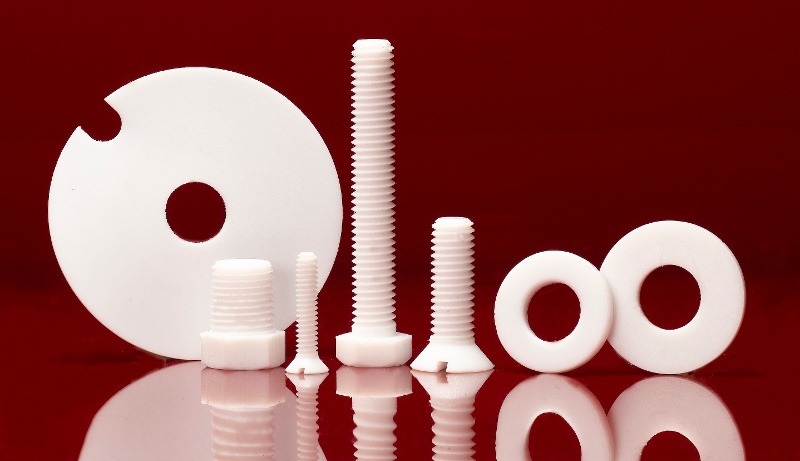 With their light weight and resistance to high temperatures and corrosive materials, plastic materials are a great choice to replace components historically made of metal alloys or rubber. In the next decades, aircraft with plastic wings and tails are foreseeable. Did I miss an important material or application in the aerospace industry? Let me know in the comments section below. Looking for more information on these plastics? Download our free guide!